Apartments in Puerto del Carmen - Princesa Ico 1 bedroom apts. •	Distance to beach, restaurants, shops and bars – about 300 metres or 4 minutes’ walk. •	Distance to ‘Old Town’ – about 750 metres or 10 minutes’ walk. Princesa Ico is perfectly located in a quiet yet central part of Puerto del Carmen. It is just 300 metres to the beachfront promenade, so just a few minutes’ walk to the main beach, shops, restaurants and bars. For those who know Puerto del Carmen, it is conveniently located just up from the middle of the Los Fariones main beach. The Old Town is also only a short walk away and is a good way of sampling some of the local atmosphere with its many fish restaurants. You can see the exact location on our Google location map. •	Plenty of sun loungers and sun shades, on a spacious sheltered sun terrace. Princesa Ico is a small peaceful complex of 16 apartments, all of which overlook the swimming pool and sun terrace. There are 8 apartments downstairs and 8 upstairs, with sea views. The solarium is a real sun trap due to its sheltered position and it is well stocked with sun loungers and parasols. Guests who stay at Princesa Ico also have full use of all Club Oceano complex amenities, which is next door. Here there is a large pool with easy access via roman steps and a children’s pool, both of which are heated, both electrically and by solar heating. The swimming pools are low chloride fresh water infinity pools for maximum enjoyment and relaxation. There is a further sun terrace with beds and shades overlooking the pool area on a mezzanine level, with some lovely gardens filled with tropical plants. There is also a stylish poolside private bar with great food, flat screen satellite TVs, pool table and internet access. 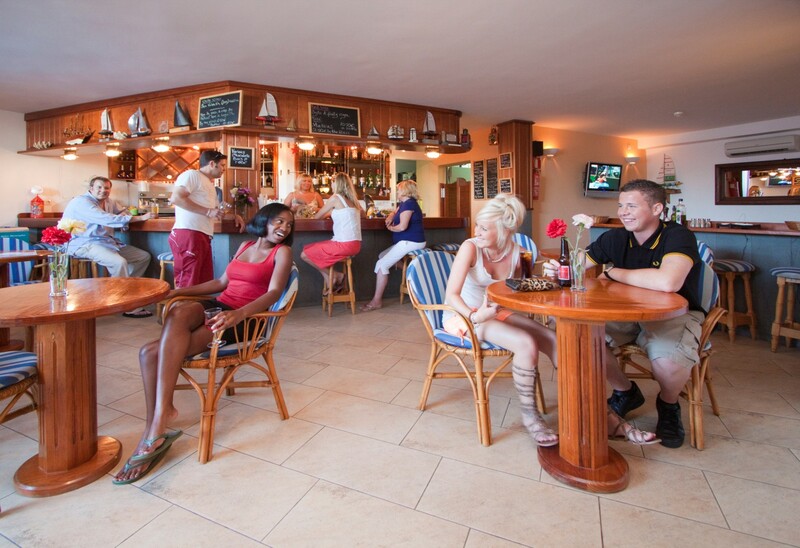 The bar is a focal point of Club Oceano where you can relax and have a drink, meal or snack by the infinity pool. Full reception services are at your disposal. •	1 bedroom and linked apartments. •	Free TVs with English & European channels. •	Double or twin beds. •	Regular maid service included. We have one bedroom apartments and linked one bedroom apartments. Linked one bedroom apartments are 2 x 1 bedroom apartments next to each other, which have an internal connecting double door. When opened, these create a large two bedroom apartment, with two bathrooms and two living rooms. The second living room can be used as a 3rd bedroom, making linked apartments very popular with large groups and suitable for larger families, with young children. We have 8 apartments upstairs and 8 downstairs. The upstairs apartments have sea views and all apartments overlook the pool. Please note that, although we do take requests for specific apartments or locations, we can never guarantee any specific apartment or location. A typical one bedroom apartment has a comfortable living room with sofa and armchair, leading onto an attractive patio or balcony with outside table and chairs. All apartments are fully set up for self-catering with fully fitted kitchens, including oven, two ring hob, toaster, kettle and all necessary kitchen equipment. The bathrooms have a large walk-in shower sink with marble surround and W.C. Beds in the bedroom can be made as double or twin and all bathroom towels and bed linen are provided. Maid service is included and there is a towel change once during the week and linen change once a week. Iron and ironing board is supplied. •	Completely flexible changeover day. •	Balance due no later than 10 weeks before departure. •	Get a quote and book online or call us on 01798 875703. •	Prices available in euros. - 1 TV, TV Satellite (Languages: English), fenced garden, 10 m² terrace, iron, safe, internet (Wi-Fi), 35 m² property, 2,000 m² plot, communal swimming pool (dimensions 12x6, max depth 6.2 ft, min depth 3.9 ft), Open-air parking. Very peaceful complex but with the facilities of the Ocean club available to use. Easy reach of the beach. Great location and lovely apartment with its own outside space. Great pool area and always easy to get a sunbed! The staff are so helpful and friendly. Safety Deposit Box at a decent Hight it is far too low especially for the elderly and disabled. cleaning was excellent and cleaners very friendly. We liked our own peace and the terrace..
Staff friendly and helpful, rooms and pool area are clean and brilliant location. Food at the pool bar was very nice and a reasonable price! Very friendly and helpful staff. Enjoyed our stay from start to finish. Everything was in the apartment that we needed, eg toaster, kettle, cooker. Towels changed regularly by lovely staff. Nice short distance to walk over road to bar/reception and the use of the heated swimming pool. Lovely food served at the bar if you didn't want to walk into town. Look forward to staying again! would be nice if staying for 2 weeks to have the use of a washing machine. Basic apartment but clean, maid calling regularly. TV with uk channels 123&4 which was handy. Away from busy seafront but not too far to walk. Good reception staff. Would definitely go back. Stayed at these apartments numerous times. Great value for money. Nice and peaceful. Great location, 5 minutes walk to shops, beach, bars and restaurants. Lovely pool area. Cleaners, maintenance staff, reception staff and the ladies who work behind the bar at Club Oceano are always friendly, all work very hard. Spotlessly clean. Have already booked to go back for later this year. Hi Sharon Thank you for your very kind words about our Princesa Ico Complex and the amazing staff we have working in both complexes. we pride ourselves on making your stay the best stay possible. We look forward to seeing you again in the near future. Kind Regards Ocean Club Holidays. We have stayed at Princess before and the facilities suit our needs. Great location, secure accommodation, great self catering facilities, chilled quiet pool and nice neighbours. We will be back. Another nice break at Princessa Ico! Location perfect. Size of complex and privacy excellent. Staff on arrival/departure very pleasant and professional. Our go to place when visiting PDC. Quiet well maintained apartment. Very helpful and friendly staff (reception, bar and cleaning). Will see you in 2019 - please arrange same weather as we had this year!! Provision of second set of keys for a refundable deposit. Great location just a short stroll from the sea front and restaurants. Relaxed atmosphere in the hotel. very relaxing stay at the I co.Staff very helpful as usual cleaning staff do a excellent job. Apartment had everything we needed, were clean but basic. The staff are brilliant though, the ladies on reception knowledgeable and helpful, the guys who kept the grounds and pool area spotless and the Housekeeping staff who looked after the apartments. Great location.great pool.lots of sunbeds.and spotless apartment.All south facing rooms so sun on your terrace all day..Five minutes to main strip and beach.will definitely stay here again. Been to Ico quite a few times now.We love the relaxed atmosphere around the pool. The apartments are good value money but we would be quite happily pay more if they were brought up to date. Will be back very soon. Everything. Keep up the good work. As we returned to these apartments gives an indication of how much we enjoyed staying here last year. Perfect if you want a nice, quiet relaxing holiday, close to everything that Puerto Del Carmen has to offer. Rooms basic but covers the essentials, cleaning spot on and the cleaning staff are warm and friendly without being intrusive. We will be back. Not for me as i am bald but my wife would prefer either a socket by the mirror in the bathrooma big mirror in the lounge by a socket. We vonden alles goed. Het handelen van het personeel na wat gedoe met ongedierte. Het zwembad is oke de prijs. Misschien wat betere stoelen op het terras. Loved the views and the room had everything we needed. The the hot plates on the oven didn’t get very hot, managed to cook on them eventually but took a while. Loved location. 6th time Lanzarote but first time Princesa Ico. Very peaceful and hoping to come back soon for my 60th in September. We had a great time at these apartments, they were very clean and the service was great. They could do with a bit of modernising but are value for money and we will definitely stay again. Thank you for your feedback on Princesa Ico. I'm glad you liked the location and the pool. We hope to welcome you back to Ocean Club Holidays. Very quiet at all times. Cleaning staff were great and came and went without disruption. Close to strip ..5 minutes walk. Great stay yet again at these apartments. Brilliant location, close to all amenities. Nice and peaceful. Staff always friendly. Cleaning and maintenance staff work very hard. Will definitely return. Thank you for your review on the Princesa Ico apartments. I'm glad you had lovely stay. We hope to welcome you back to Ocean Club Holidays. Thank you for your positive feedback. I'm glad you liked the Princesa Ico apartments. We hope to welcome you back to Ocean Club Holidays. Liked the apartments close to bars restaurants.supermarkets on door step with lovely fresh rolls.liked that we could pop across road to eat at ocean club if we didn't want to go far. Woz happy with apartment basic but had everything we needed.2nd time if stayed then will definitely go back. Thank you for your positive feedback, I'm glad you liked the Princesa Ico apartments. We hope to welcome you back to Ocean Club Holidays. 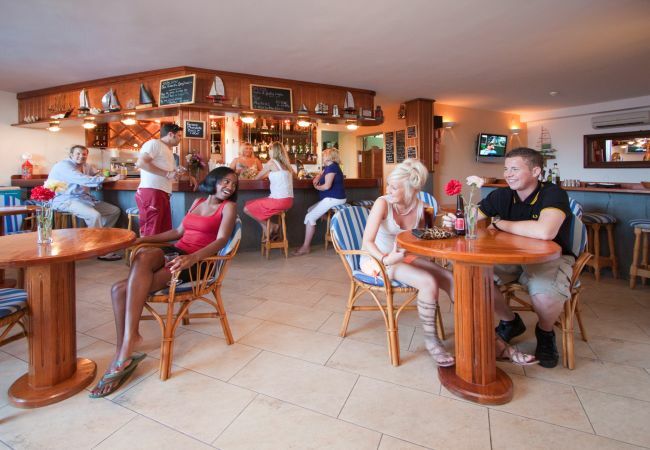 Friendly staff, well maintained accomodation, excellent cleaners, Location (level walk to the beach). Peaceful, quiet site. Thank you for your positive feedback. I'm glad you found it a lovely place to stay. We hope to welcome you back to Ocean Club Holidays. Staff, Location, Cleanliness, Peace & Quiet. Thank you for your positive feedback, I'm glad you liked the location and the cleanliness. We hope to welcome you back to Ocean Club Holidays. sharpen kitchen knives. improve iron, supply hairdryer with mirror at socket. Value for money. Cleanliness. Reception staff. Quite a steep walk from the Strip. Thank you for your feedback on Princesa Ico. We hope to welcome you back to Ocean Club Holidays. As always, and we have stayed here many times, the friendliness and efficiency of all staff - home office, reception, cafe and cleaning and maintenance crews. We enjoy the location and orientation of Ico. We also appreciate the reliable presence of equipment, crockery, etc. We have seen criticism that safe, tv and wi-fi are not included but we like that as it leaves the option to not have them if one needs to keep the price down. Not huge issues but to be picky (and you did ask!) - more and better pillows and possibly more comfortable sofa and chair. Thank you for your positive feedback. I'm glad you enjoyed your stay. We hope to welcome you back to Ocean Club Holidays soon. Thank you for your feedback on the Princesa Ico apartments. We hope to welcome you back to Ocean Club Holidays soon. Good for quiet relaxing holiday. Nice quiet & clean apartments.bonus having Ironing board & english channels on tv. Not too far from beach. Good being allowed to use bar & pool at Oceano. Lovely friendly/helpful staff. Thank you for your positive feedback. I'm glad you liked the apartments and found the staff helpful and friendly. We hope to welcome you back to Ocean Club Holidays soon. Apartment was very quiet & peaceful. Convenient location. 5 minutes walk to the beach and the main strip. 10 minute walk to Lidl´s and the old town. No pool bar which suited us as this meant that the apartments were quiet. A 1 minute walk across the road to use a warmer pool and bar TV etc...We stayed here mainly for cycling. You can pick up the routes within 5 - 10 minutes of riding from the apartments. Would deffo stay here again. Thank you for your positive feedback. I'm glad you enjoyed your holiday. We hope to welcome you back to Ocean Club Holidays soon. Friendly and helpful staff, apartments vety clean and spacious. Thank you for your positive feedback. I'm glad you found the staff helpful and apartments clean. We hope to welcome you back to Ocean Club Holidays soon. Balcony location sun all day. Reasonable sea view. WIFI & safe payments should be part of the accommodation booking. Enjoyed Princesa Ico annexe - almost adults only, therefore, quiet and relaxing. Pleasant, friendly staff particularly the housekeeping staff who provided an excellent service. Pool temperature at Princesa Ico. Free wifi would be a welcome addition. We liked friendliness of staff, lovely food and wonderful pool. Beds could do with new mattresses as they´re on the brink of uncomfortable and a bad nights sleep. Thank you for your positive review, i'm glad you liked the Princesa Ico apartments. We hope to welcome you back to Ocean Club Holidays soon. Loved the location and everything about the acomodation, the only downfall was no air con which is definitely needed. The apartment was spotlessly clean,maid service every other day. Pool area very clean,quiet and peaceful. Perfect location to beach shops and bars/restaurants. Well worth the money. Thank you for your positive feedback. I'm glad you liked the Princesa Ico apartments. We hope to welcome you back to Ocean Club Holidays soon. Reception was much improved this visit. Friendly and helpful. Cleaning ladies always have a smile and a hello. New pool beds very comfortable. Thank you for your positive feedback, I'm glad you enjoyed your holiday. We hope to welcome you back to Ocean Club Holidays soon. The View from balcony of pool and also the sea and location. Well equiped kitchen. Nice walk in shower. No noisy kids. Clenliness fab. Great location. The rooms arent that big so not suitabke for familieschildren, this mean the pool area was great, peaceful & plenty of beds. When you wanted to liven it up you could just nip over to the Club Oceano across the road for more to watchhave good food & a drink. The plugs are not ideally situated to allow a woman to get ready. The only mirror is in the bathroom so steams up & you can´t get ready while your partner is getting showeredshaved. Another mirror with an electrical socket close by would be useful. A microwave would also be useful. Thank you for your comments. The beds and mattresses have now all been replace in June 2018.
mirror @ plug for hairdryer. electricts (kept tripping ) keypad on main gate. It was lovely and quiet and everything I expected from what I had seen. It is generally tired and needs updating- we normally stay at Club Oceano so we knew what it would be like and believe it may be d after Oceano is completed - but it gave us what we needed and wanted. Thank you for your comments. We now have new beds and mattresses. We also have new and improved sun-loungers around the pool. Very well maintained - the pool, the common areas and the apartments. Nice small complex and sunshine all day long. The apartments are very dark inside so you would spend much time in them. All staff lovely and friendly. Staff work extremely hard to keep the apartments and grounds spotlessly clean. Great location, peaceful and quiet for a relaxing holiday but near enough to the main strip. Apartments equipped with everything you need for a self catering holiday. Personally, I have stopped in many self catering apartments around the world and all had free WiFi and tvs. As many of the guests are returning guests, I think it should be free. I had noticed also from my last stay here, that reception is only open till 6pm. I think it should be 24 hours as many of the guests who stay at these apartments are elderly so if any problems should arise there is someone available to help. These apartments are excellent value for money. Very private which we like, however there is the ability to use the busier sister complex next to it if desired. We sometimes had breakfast and drinks there. Only slight fault - pillows not great but that is a very minor issue. Didn´t stop us having a fab time. Thank you for your comments. We're very pleased you enjoyed your stay. If you come again please ask the reception about the pillows as we do have various types to cater for different needs. Quite spot, close to beach and nice walk either way to old and new parts of resort! We are already looking forward to booking our next trip in 5 weeks! Thank you for your positive review, I'm glad you always enjoy your stay with us as a repeat customer. We hope to welcome you back to Ocean Club Holidays soon. Air conditioning? It´s grand in February but in August/ September with 30 plus degrees of heat it could really benefit from air con. Thank you for your positive feedback. I'm glad you had a lovely holiday. We don't have Air conditioning but you can hire a fan from reception. Hope to welcome you back to Ocean Club Holidays. Thank you for your feedback. I'm glad you enjoyed your holiday. We hope to welcome you back to Ocean Club Holidays soon. For short term stays, a "small" amt of washing up liquid and brushes would be helpful, as well as more than one tea towel ! Thank you for your feedback. I'm glad you had a lovely holiday. Liked the location and the quite surroundings. Hope to welcome you back soon. Best Wishes Ocean Club Holidays. There´s nowt not to like! Paying for wifi in my this day and age is a bit rich. the staff were very friendly ,the cleaning staff were excellent and very polite , the apartment could do with a coat of paint ,also it had 3 of everything but nowhere for a third person to sleep ,?? ?,overall i would stay again and i would recommend to to others . Great location, quiet pool area, friendly guests, helpful and friendly staff. Apartments are cleaned to a high standard. Another mirror in the apartment would be helpful when 2 people are trying to get ready to go out at the same time, otherwise, spot on. Thank you for your feedback. I'm glad you had a lovely time. Best wishes Ocean Club Holidays. Don´t let multiple rooms to one family. A family booked two apartments at ico and one at oceano. Unacceptable behaviour by this party. Liked size, location and cleanliness. Basic but in a good area! Apartment was very clean and in a good location. Plenty of sunbeds around the pool and pool was quiet. Room decor is very outdated, needs improving. Extra charges for items, e.g wifi and tv. Good location a short walk from the front with ample free parking round about. Basic accomodation, clean bedding and useful kitchenette. Never used the pool area but it looked inviting and use of bar etc. over the road a good add-on. Wi-Fi was poor - very slow connection and kept ping off. Needed it for work and struggled with it every day. Not stayed somewhere you had to pay for the TV for 30 years, like stepping back in a time warp. Only thing missing was the electricity and hot water slot meters! Loved the location, very quiet but close to everything. The rooms are dated, the sofa/chairs are very uncomfortable and squeak a lot! The location, the cleanliness and the peacefulness. Needs a hairdryer, ´drain´ smell in bathroom needs investigation and the living room furniture is very squeaky !!! freezer box door kept falling off & the decor/furniture is a bit dated but considering the great value we could not/would not complain! Excellent location in Puerto del Carmen, close to the sea front but quiet at night. Reception to be open longer during the day, and check out times when departing to be clearly showntold when checking in. Apartment clean. Pool and complex kept well. Staff very pleasant and helpful. Had a lovely stay and would go back again. Thank you for your feedback. I'm glad you had a lovely holiday. We hope to welcome you back to Ocean Club Holidays soon. Best Wishes Ocean Club Holidays. Vriendelijk personeel. Ruim appartement, ruim balkon. Rustige ligging. Dat we op de dag van vertrek langer in ons appartement mochten blijven. De bedden liggen wat te hard. Geen parasol op het balkon. La piscina, ubicación y tranquilidad. Need updating but good value for money and staff brilliant.